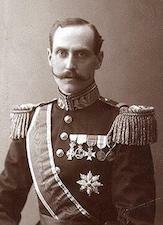 King Haakon VII of Norway appeals to all Norwegians to fight. The first British troop’s sets sail for Norway, although they have been mistakenly embarked without much of their heavy equipment. Royal Navy submarine Spearfish puts pocket battleship Lutzow out of action for a year. Rommel makes an attempt to capture Tobruk off the march. However, the 9th Australian Division repulses the attack, forcing the Germans to think again. By now the Germans are pretty exhausted after 3 weeks of continuous action and their vehicles in serious need of an overhaul. Roosevelt extends the Pan-American security zone in the Atlantic from 60Â°W to 26Â°W. Bristol is bombed by the Luftwaffe. Italian forces begin their effort to push down the Yugoslav coast in order to link up with their forces in Albania. Progress continues as German relieve forces push nearer the surrounded Kholm garrison. The Russians try to land troops near Eupatoria in the Crimea, but are stopped dead by the Germans. The British First Army takes Kalrouan, 100 miles South of Tunis. The majority of New Britain is now held by the Allies. A U.S. Delegate hands the Swiss a cheque for $1m as reparations for the accidental bombing of Schaffhausen. Russian troops capture Kerch in the Crimea. While units of the 4th Ukrainian Front liberate Dsjankoi. The Russians now reaches the centre of Vienna, capturing the parliament and town hall buildings. The U.S. Third Army takes the historic town of Weimar. The British Second Army takes Celle, 30 miles Northeast of Hanover, cutting the road to Hamburg. The U.S. Ninth Army captures Essen, Bochum and Goslar in the Harz Mountains. The U.S. Seventh Army reaches Schweinfurt, 80 miles to the East of Frankfurt.